The GETECH GE2 roller brake tester is the best product available to UK MOT garages due to its infra-red remote control, integrated weighing facility, large LED display – it is supplied not only with a free roller cover but also a 5 year extended parts warranty to give you complete peace of mind over the life of the product. Being a GETECH product, you’d expect innovation and features to make the MOT testers life as simple as possible – you will not be disappointed! 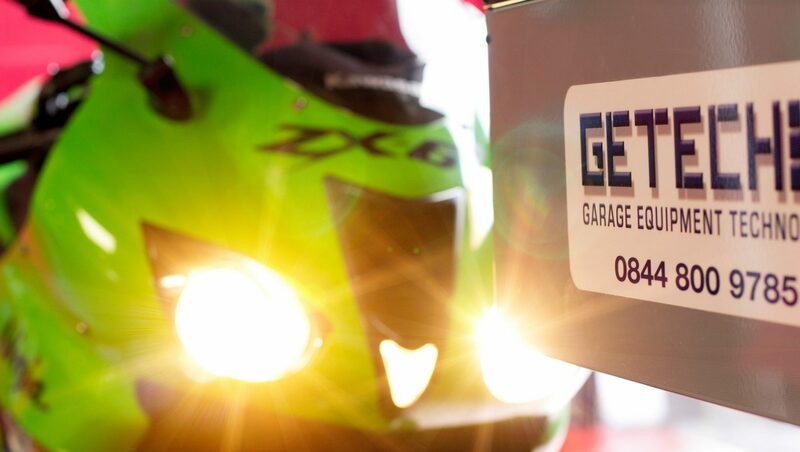 GETECH’s motorcycle brake tester has been designed to allow simple, repeatable brake testing for all motorcycle types; including those with a sidecar! The bi-directional rollers allow you to get the full benefit of the DVSA’s dimensional requirements whilst maintaining the facility to test any desired motorcycle configuration. Even in areas where the DVSA’s own regulations are in short-coming, the GETECH GE2 allows you to measure individual axle weights beyond the 300Kg DVSA devised display limit meaning that among its competitors, the GE2 stands alone as the only brake tester capable of producing accurate figures which can be entered straight into the VTS device without any external operator input. Click Here to read more on the GETECH GE2 brake tester. Next PostNext Do I really need a specific Bowmonk for HGV Truck & Trailer Testing?